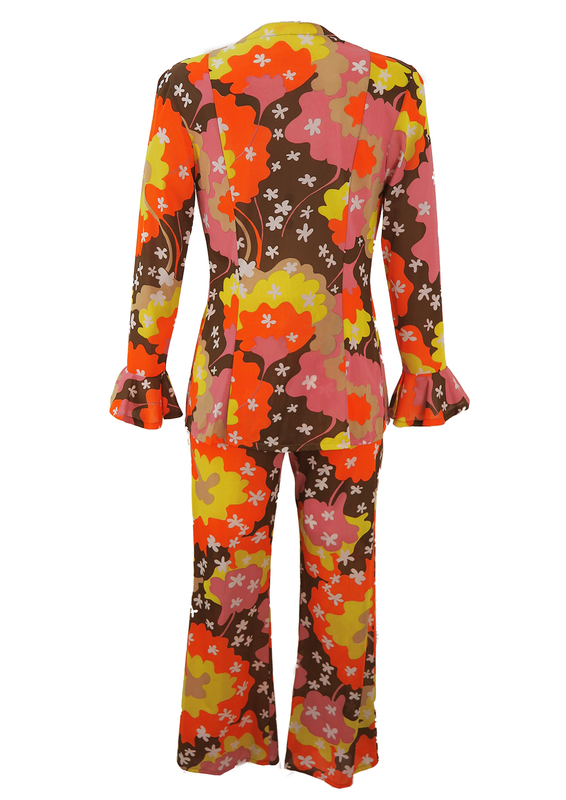 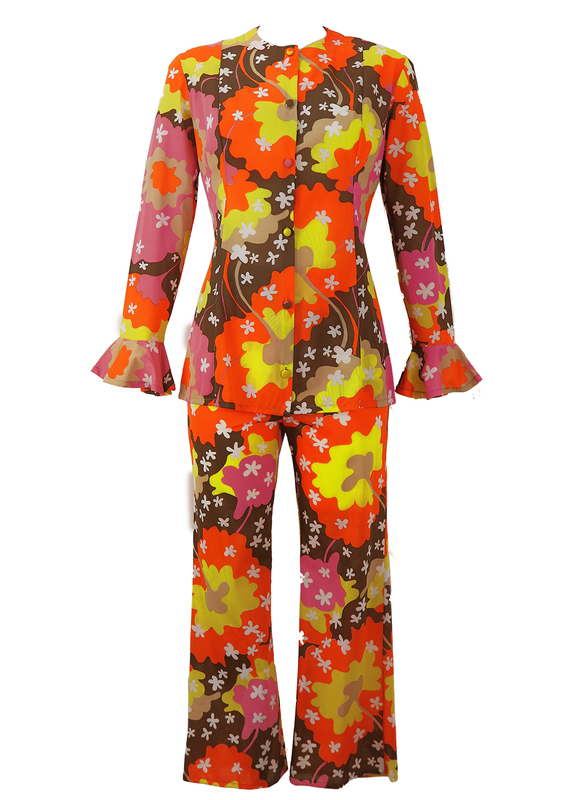 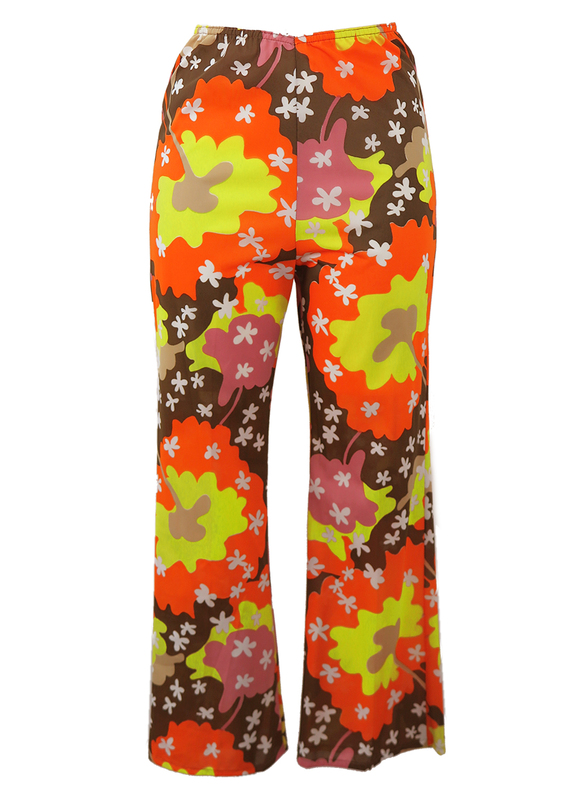 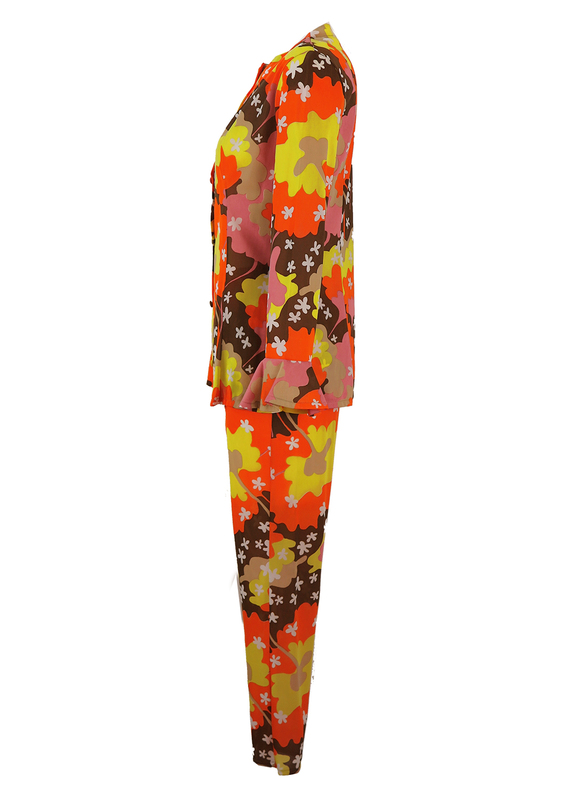 Stunning vintage 1960’s psychedelic floral trouser two piece in a vibrant orange, yellow, pink and beige colourway set against a dark brown background for maximum eye popping stand out! Additional features include flared cuffs and fabric covered buttons. 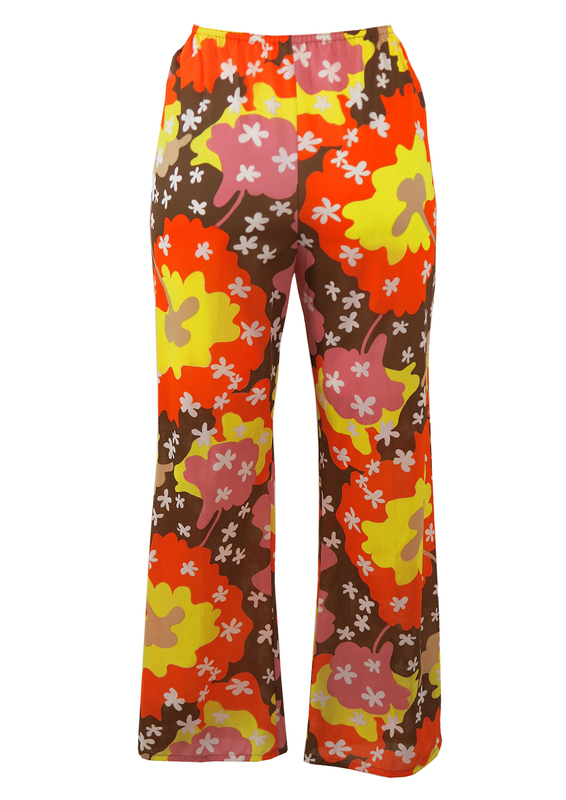 The trouser waistband is elasticated and we have provided a measurement range with the elastic stretched but without distorting the overall shape of the trousers.